I am not partial in saying that French women are by far the best amidst all other beauties I have come across. Not only they are admired worldwide for their natural beauty but they also do have sharp brains with the help of which they have been able to conquer hearts of everyone all around the globe. Moreover, these women execute quite a sense of warmth and fellow feeling once you get a chance to interact with them, which is simply amazing. You are bound to get awe stricken on meeting them. They think that a good impression really lasts longer in mind and hence make sure to leave a good one. Moreover, the thing which attracts me the most is their courtesy as they are extremely friendly in nature. If you happen to meet a French woman, you will find that most of these women are very feminine. They represent a true class who are quite sober and serene and if language is not a barrier, then you are sure to find a true companion and a soul mate in her. They are so gentle that you are sure to fall in love with them. Regarding cooking, I am sure that these women are no less than master chefs and by saying that I mean every letter of it. As a country, France has given the world a huge number of cuisines and the French women have been the forerunner in this front, providing exciting and mouth watering recipes which are admired by food enthusiasts all over the globe. Whether it is a starter or a main course, if you happen to be an invitee at a French household, you cannot resist yourself from indulging in the food delights. Definitely for that you can only thank your French hostess for providing you with such a wonderful experience. Another feature which attracts me the most to French women is their mysteriousness. These women unlike their other western counterparts are quite secretive in nature. These women, no matter what happens, would not indulge in sharing secrets. It is also said that, “a Women’s heart is a deep ocean of secrets”, these women are quite trustworthy and definitely can act as your pillar of strength when you need them the most. Continuing to "surf" Europe, I decided to provide the most beautiful French women. In my Top 23 included famous French actresses of the past and the present time, the French singers, models, and as the winners of the national beauty contest. How to speak French, "Beauty can be different" and indeed types of the French women are so varied and interesting that you wonder their cardinal unlikeness to each other. 23. Eva Gaelle Green (5 July 1980) - French actress and model. 22. Virginie Fernandez (15 November 1976), known by her stage name Virginie Ledoyen, is a French actress. 21. Audrey Tautou (9 August 1976 or 1978) - French film actress, model and occasional singer. 20. Marion Cotillard (30 September 1975) - French actress. 19. Emmanuelle Beart (14 August 1963) - French film actress. 18. Malika Menard (14 July 1987) - French beauty pageant titleholder, who won the title of Miss France 2010 and represented her country in Miss Universe 2010. 17. Louise Bourgoin (November 28, 1981), is a French actress, model and television presenter. 16. Laura Tanguy (August 2, 1987) - French beauty pageant contestant who was elected second runner-up of Miss France 2008. 15. Sigrid Agren(April 24, 1991) - French-Swedish fashion model from Martinique. 14. Sophie Marceau (17 November 1966) - French actress, director, screenwriter, and author. 13. Mathilde Frachon (16 February 1990 in Paris) - French fashion model. 12. Alizee (Jacotey) (21 August 1984) - French recording artist, known professionally as Alizee, a registered trade name. 11. Carole Bouquet (18 August 1957) - French actress and the most famous fashion model among French women. 10. Brigitte Bardot (28 September 1934) - former French actress, singer and fashion model. 9. Berenice Marlohe (19 May 1979) - French actress. 8. 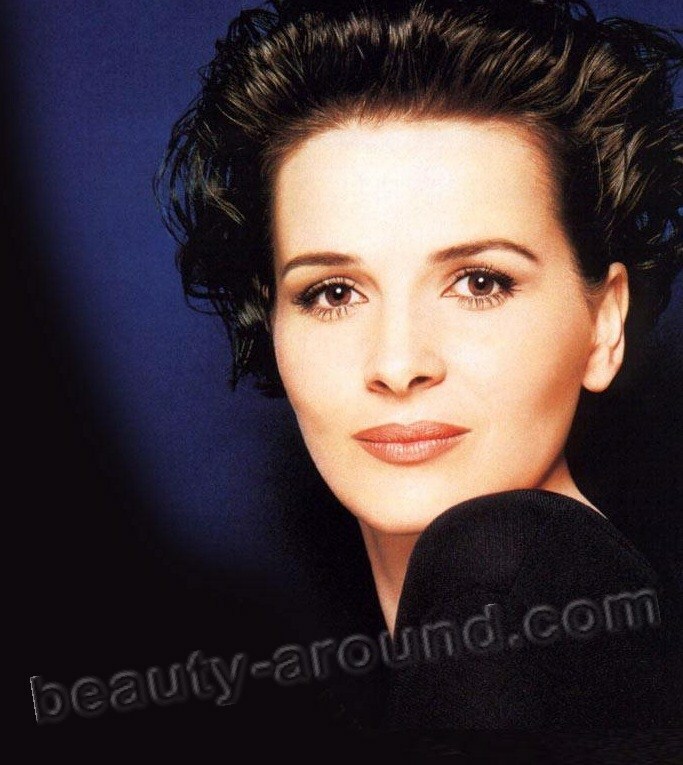 Juliette Binoche (9 March 1964) - French actress, artist and dancer. 7. Laetitia Casta (11 May 1978) - French actress and the most famous modern model from French women. 6. Elodie Frege (February 15, 1982 in Cosne-sur-Loire, Nievre) - French singer. 5. Mylene Demongeot (29 September 1935) - French actress, who has appeared in 72 films since 1953. 4. Melissa Theuriau (18 July 1978 in Echirolles, Isere) is a French journalist and news anchor for M6. 3. Valerie Begue (26 September 1985) - French reality television participant and beauty pageant titleholder who won Miss France 2008. 2. Catherine Deneuve (22 October 1943) - French actress. 1. Michele Mercier (1 January 1939 as Jocelyne Yvonne Renee Mercier) - French actress. I would call the French women the most mysterious and elegant. You can propose your own female candidates. Hi, I am a firm favourite amongst the French speaking people and I can honestly say that this tasteful selection of beautiful women would keep any man hypnotised for eternity. Thank you France for reminding me how wonderful you truly are. Where is Marine Lorphelin? She is the most beautiful Miss France we ever had!